Yes, select characters and use transform panel to rotate them at place would be nice feature. With multiple selected characters and flip hor/ver, too. 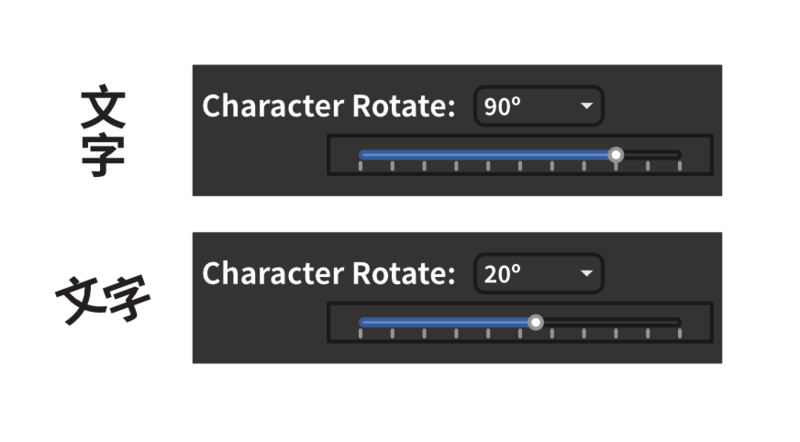 As long as they are in their own Text Frame, or were created as a separate Artistic text layer, either the transform panel or dragging the nodes will allow rotation or flipping.